A collision in the air, a destroyed Chinese fighter jet and a U.S. ‘spy’ plane forced to make an emergency landing at a Chinese airbase — mix together to create a maelstrom of chaos and outrage. Add in the fact that the U.S. had accidentally bombed the Chinese embassy in Belgrade just two years earlier and you have the makings of a real diplomatic challenge. 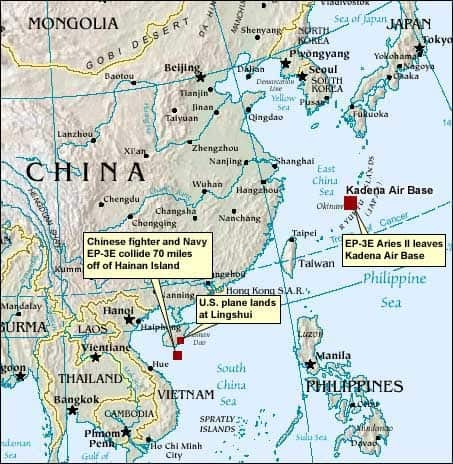 On April 1, 2001, a U.S. Navy EP-3 signals intelligence aircraft collided with a Chinese fighter jet some 70 miles off the Chinese island of Hainan. The Chinese jet had actually harassed the EP-3 just days earlier, getting so close that the Chinese pilot held up a piece of paper with his e-mail address, which was visible to the American crew. The collision caused both planes to lose altitude quickly — the Chinese fighter was unable to recover and was killed. Against all odds, the EP-3 somehow rolled out of its nearly inverted dive and managed to limp towards the closest air base without its nose. This airbase, however, was on Hainan, the same site that had sent the downed fighter. The crew and plane were detained as officials from both China and the U.S. argued about what exactly happened over the South China Sea and how to resolve the situation without further damaging bilateral relations. Read about when the U.S. accidentally bombed the Chinese embassy in Belgrade and other Moments on China. Go here to learn more about when the U.S. accidentally dropped four H-bombs over Spain and other historic mistakes. JOHNSON: I received a call from the State Department Operations Center passing on a message from the Under Secretary for Political Affairs, Marc Grossman, saying that I should come to the Department at once. The call came at about 9 pm, and by the time I got dressed and drove to the Department, it was about 10 pm. We did not know the condition of the crew or of the aircraft. We had been in contact with the U.S. Embassy in Beijing, but had no report back from them yet. By the time I had read through the early messages, Secretary [Collin] Powell was on the phone asking for my views on the event and on how best to approach the Chinese Government. At that point our primary concern was to find out the condition of the crew and to seek their early release. But to do that, we had to have some direct interaction. The Embassy in Beijing had requested a meeting at the Foreign Ministry at the earliest possible time, but had not received a response. Meanwhile, more details began to emerge, including the type of aircraft — EP-3, a Lockheed P-3 platform configured for electronic surveillance. The media regularly referred to it as a “spy plane,” although its mission was not clandestine. Even though we had received no response from the PRC Government, we decided to put out a short statement acknowledging that our plane had been forced to make an emergency landing at the PLA [People’s Liberation Army) Naval base and that we sought the early release of the crew and the plane. The Chinese resented our handling it this way, saying that it should have been handled at much higher levels, perhaps even at the Presidential level. Of course, they were looking for an “apology,” which we were not about to issue; at least until we knew more details of what had actually happened. Another key point at this stage was a comment by Secretary Powell that this was an “accident” not an “incident;” the Chinese, he stressed, had not tried to down an American plane. The EP-3 had been flying at 24,000 feet and the crew had spotted two PLA planes coming up apparently to intercept it. So our pilot had put the EP-3 on auto-pilot so that the plane would not make any unexpected moves that could be misinterpreted. This caution was partly because the Chinese had harassed the same EP-3 a few days earlier when it was on a similar mission. The Chinese F-8 pilot on that occasion had come dangerously close to the EP-3; in fact, the Chinese pilot made a gesture of showing the Americans his email address through the glass of the cockpit. The U.S. officially protested that incident as a danger to safe flight. It was a genuine miracle that the U.S. plane and crew survived the collision. What happened, apparently, was that the Chinese pilot got so close, and slowed down so much that he actually [lost lift and] stalled under the left wing, knocking out two of the four engines and the radar nose cone. As a result of the impact and the flying debris, the EP-3 fell about 8,000 feet in an uncontrolled spin. The F-8, on the other hand, disintegrated upon impact with the EP-3 and fell into the sea. The pilot was never found. Somehow the EP-3 pilot was able to regain control of the plane and head for Hainan Island. Without radar he had to navigate by line of sight. 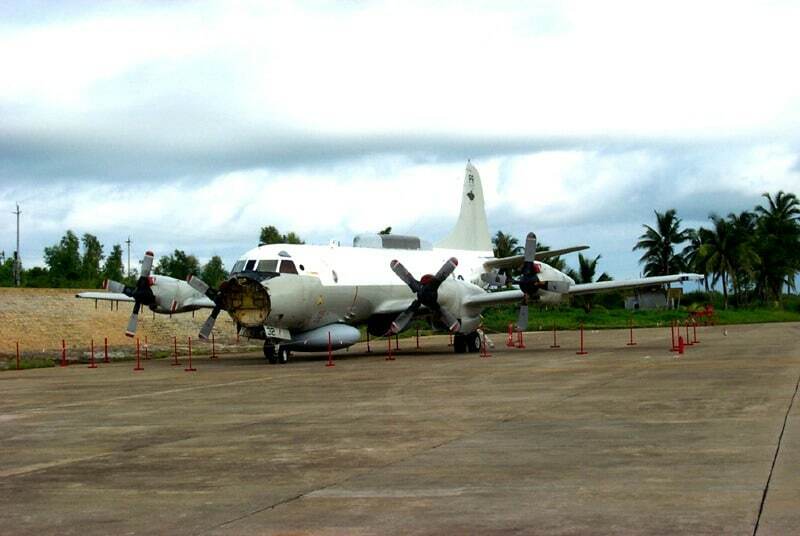 The EP-3 was about 110 nautical miles south of Hainan when the accident occurred. 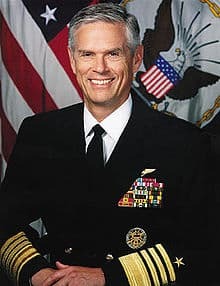 The Ambassador to Beijing at that time was Joseph Prueher, a retired four-star admiral who had previously served as Commander-in-Chief of the Pacific Command [CINCPAC], based in Hawaii…. Within the first few days after this event occurred, we learned quite a lot about the way the Chinese system worked — or didn’t work — especially between Beijing and Hainan. Ambassador Prueher had sought a meeting at the MFA [Ministry of Foreign Affairs] from the moment he learned of the incident. The time was about 8 am on a Sunday morning in Beijing, and there was no one home at the MFA. In fact, there was apparently no one available anywhere in the senior leadership of the government. Evidently there was no equivalent of our 24-hour Operations Center. We heard later that most of the senior leaders, including President Jiang Zemin, had been out of town that morning planting trees. It was Arbor Day in China. The MFA, in the person of Assistant Minister Zhou Wenzhong, finally received Ambassador Prueher and Political Counselor Jim Moriarty at 7 pm — almost 12 hours after the event. And even then, there was no effort to discuss what had actually happened. The Chinese officials stuck to their initial version of the story. And this is where having a naval aviator as the U.S. Ambassador made a significant difference. Zhou began by asserting that the American plane had violated China’s sovereignty by landing without permission at the PLA Naval base. He went on to say that the U.S. plane had run into the Chinese F-8 fighter plane (aka J-8, pictured), apparently causing it to crash in the sea. The fate of the pilot was not yet known…. 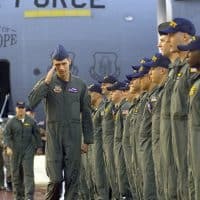 He also said that the same Chinese pilot had buzzed a U.S. plane a few days earlier, and had flown so close that the American flight crew could read his e-mail address from a piece of paper shown through the cockpit window. It was a genuine miracle that the EP-3 did not crash and that the crew did not perish…. Zhou did not accept this logic and continued to assert that the U.S. plane had caused the accident. He also repeated that the U.S. plane had landed at the Chinese naval base without permission. Prueher did not agree or disagree with this assertion, saying that we would have to talk with the crew and examine their records to determine whether and how the plane had notified the Chinese that they were coming in for an emergency landing…. Regarding access to the crew, the MFA said that we could meet with them the second day at the guest house where they were being held. The MFA also asserted that the crew was not under arrest, but was being “detained” until their actions could be investigated. [They] reached Sanya late on Monday and notified the Chinese naval personnel that they were there to meet with the crew and to expedite their release. Despite the assurances from the MFA, our people were not given access to the crew until late in the evening on Tuesday, April 3, and even then it seemed that the PLA did not agree. During the following several days, Ambassador Prueher (pictured) and Jim Moriarty met several times with Deputy Minister Zhou and others in Beijing, and called Washington after their meetings. Through the marvels of modern technology, those phone calls came into the Ops Center and were linked via a phone tree, to those who needed to be in the loop. Those calls usually came at about 3 am, Washington time. Three important things occurred during the next few days: first, Embassy Beijing proposed that a letter be sent in Ambassador Prueher’s name to the Foreign Minister, saying that we were sorry that this incident had occurred. We were not prepared to apologize, but we could “regret” the incident. This message was later expanded to become what Powell called “the letter of the two sorries.” The letter said we were sorry that the Chinese pilot had lost his life, and we were sorry that the Chinese air base had evidently not received our distress message. But that was as far as we were prepared to go. By the way, Powell insisted from the beginning that this event was not an “incident,” it was an “accident.” The Chinese did not intend to knock down our plane. If they had intended it, they would not have been so surprised. The second important fact we learned was that the Chinese Embassy in Washington was not in the loop with Beijing. We were getting such fast and accurate information from our Embassy that we were well ahead of Ambassador Yang Jiechi and his Embassy. [The Chinese] Ambassador Yang Jiechi made some unhelpful comments on the TV news, and it took us awhile to establish that he was winging it. Partly for that reason, I called in the Chinese Deputy Chief of Mission, He Yafei, whom I knew well and respected. Unlike many Chinese diplomats I had known, his approach to the many small problems that came up in the U.S.-China relationship was to try to find a solution, rather than to point a finger and try to score debating points. I asked that he not bring a notetaker and assured him that I would also not have a notetaker. When he came in, I said that this case was dragging on too long and we needed to get it resolved before it affected other elements of our larger relationship. I said that we were not going to apologize because we had nothing to apologize for. He became a bit flustered at that point, saying the U.S. was to blame and needed to apologize. 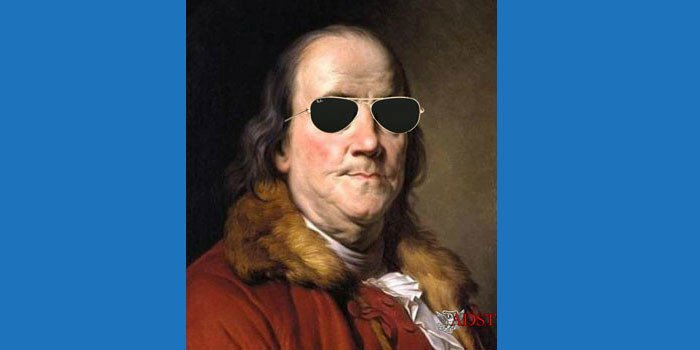 Furthermore, the U.S. had bombed the Chinese Embassy in Belgrade two years earlier in what was also said to be an “accident.” In fact, he continued, China had suffered since the time of the Opium Wars from American and other Western insults and injuries. China was the victim, he asserted. At that I got very testy, saying I had spent a number of years working in Eastern Europe, and in that region, everyone is a victim. They can all point to insults and injuries, and the only consequence is that such feelings create the conditions for the next war. And to what purpose? As for the Belgrade bombing, we had apologized and paid for the reconstruction of the Chinese Embassy. We were at fault in that case, and we said so. But we were not at fault in this one, and we were not going to say we were. I then changed tone, saying that if we got this incident resolved in the next few days, it could actually turn out to be a positive development early in the tenure of the new U.S. administration. We could demonstrate that even such a potentially disastrous event could be overcome in a reasonable way in a reasonable length of time. One key point in the discussion of this episode was a fundamental disagreement between the U.S. and China about some provisions of the International Law of the Sea Treaty [UNCLOS] — which the U.S. signed but never ratified. The treaty permits every country to claim territorial waters out to 12 nautical miles, and to claim  nautical miles as a Special Economic Zone (SEZ). Some countries, including China, assert that the coastal state has the right to refuse activities in or over the SEZ. Other countries, including the U.S., assert that any country has the right of free passage through the SEZ, including unarmed military vessels and aircraft. Several media reports at the time said that the Chinese went after our plane because they claimed we had violated their sovereign air space. That is not correct. the Chinese never claimed that we had violated their territorial waters or the air over those waters. They accepted our statement that the event had occurred about 110 nautical miles from the nearest point of Chinese land. One other memorable event during that week (I think it was on Friday, April 6): I received a call from the Office of Congressional Relations saying that a large group of Senators wanted to be briefed on the current state of play. So I checked with the Deputy Secretary’s office, and Mr. Armitage said that I should do it. So I appeared at the appointed hour in a special room in the Capitol building that was designed to handle classified discussions. 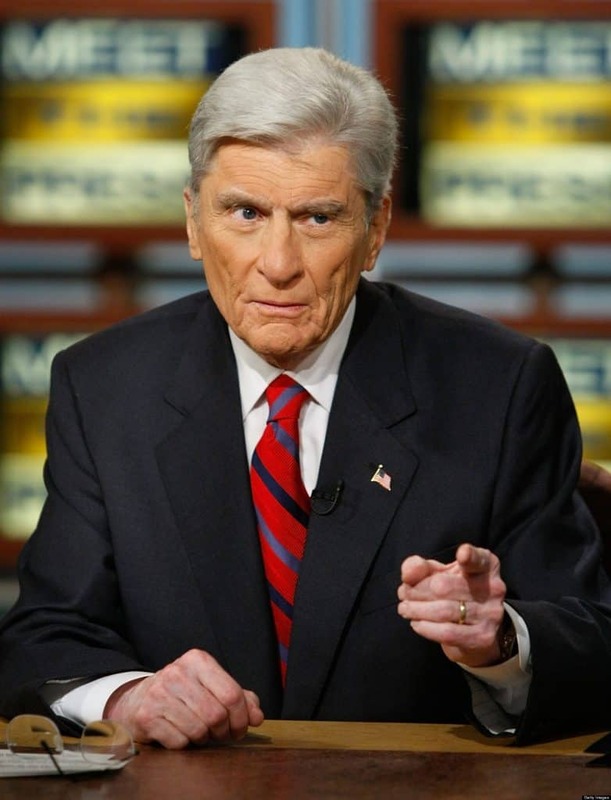 The meeting was chaired by Senator John Warner (R-VA), the Chairman of the Senate Armed Services Committee, and included about 35 senators. I was joined by briefers from the JCS [Joint chiefs of Staff], the OSD [Office of Secretary of Defense] and some others. Senator Warner started the session by stressing that the entire briefing and discussion were “top secret,” and that he did not want to hear any media reporting about it. No one was to take notes. Then the military and OSD people spoke, mainly about the plane and its mission, and about how much information was supposedly lost or compromised. So I spoke a bit about the contacts with the crew, and about the Embassy’s activities in Beijing, including the shape of the letter we were working on. At the end of my presentation, Sen. Warner and several others thanked all of us for our briefing, and Warner again warned about the sensitivity of this information and about leaks. About ten minutes after I got back to my office, I got a call from the Secretary’s office asking me to come up to his office. This was not a common occurrence — in fact, it had never happened to me before, so I was more than slightly anxious. When I got there, Secretary Powell and Deputy Secretary Armitage were there, and Powell asked whether I had been on the Hill briefing people about our negotiations with the Chinese. Powell said he had just gotten a call from NSC Adviser [Condoleeza] Rice saying that she had just heard Sen. Warner on the radio reporting on the negotiations with the Chinese about the EP-3, and asked who was briefing Warner. Powell added that he had been at a reception on the Hill the previous evening and had made a point of saying nothing about the talks with the Chinese. Well, at that point I felt like crawling out the door on all fours, cursing Sen. Warner all the way. Well, talk about a mood swing! What had been one of the lowest points I could remember became at least a qualified high. But I told Armitage that if I never saw Sen. Warner again it would be too soon…. We said we were sorry about the loss of Capt. Li, and we were sorry that the naval base had not received the distress call from our plane. Some commentators later said that we had gone too far, and that the letter sounded like an apology, even if we claimed it wasn’t. I, on the other hand, thought it hit the right points in the right way, and the tone was really not apologetic. More importantly for all of us who worked on this issue, it was seen by President [George W.] Bush and his new foreign policy team as a success. By the following Tuesday, April 10, we got encouraging news from Beijing. After Jiang and his entourage returned from their travels, they got to work to resolve this matter. Within the next 24 hours, we had agreed on the text of the letter, the format (Ambassador Prueher to the Foreign Minister), the timing and the public announcement. The arrangements for the departure of the crew had also been worked out by then. We brought in a Continental Airlines plane to the airport on Hainan Island, loaded up the crew and brought them back first to Okinawa, then to Hawaii, then on to DC, and finally to Oak Harbor, Washington (State) where the unit was based. The announcement of the results was scheduled for the afternoon of Wednesday, April 11, Beijing time, late at night in Washington, but early enough to catch the morning news cycle. The media coverage was uniformly positive — the new administration had passed its first major foreign policy test. The EP-3 itself was not permitted to fly out, even though our technical survey team said they could have patched it up enough to make it flyable. Arrangements for its removal were not completed for another two months, and when the plane was removed, it was in pieces, placed in the cargo compartment of a Ukrainian Antonov-24, a huge cargo plane from the former Soviet Union. On behalf of the United States government, I now outline steps to resolve this issue. Both President Bush and Secretary of State Powell have expressed their sincere regret over your missing pilot and aircraft. Please convey to the Chinese people and to the family of pilot Wang Wei that we are very sorry for their loss. Although the full picture of what transpired is still unclear, according to our information, our severely crippled aircraft made an emergency landing after following international emergency procedures. We are very sorry the entering of China’s airspace and the landing did not have verbal clearance, but very pleased the crew landed safely. We appreciate China’s efforts to see to the well-being of our crew. Both sides agree to hold a meeting to discuss the incident. My government understands and expects that our aircrew will be permitted to depart China as soon as possible. The meeting would start April 18, 2001. The meeting agenda would include discussion of the causes of the incident, possible recommendations whereby such collisions could be avoided in the future, development of a plan for prompt return of the EP-3 aircraft, and other related issues. We acknowledge your government’s intention to raise U.S. reconnaissance missions near China in the meeting.